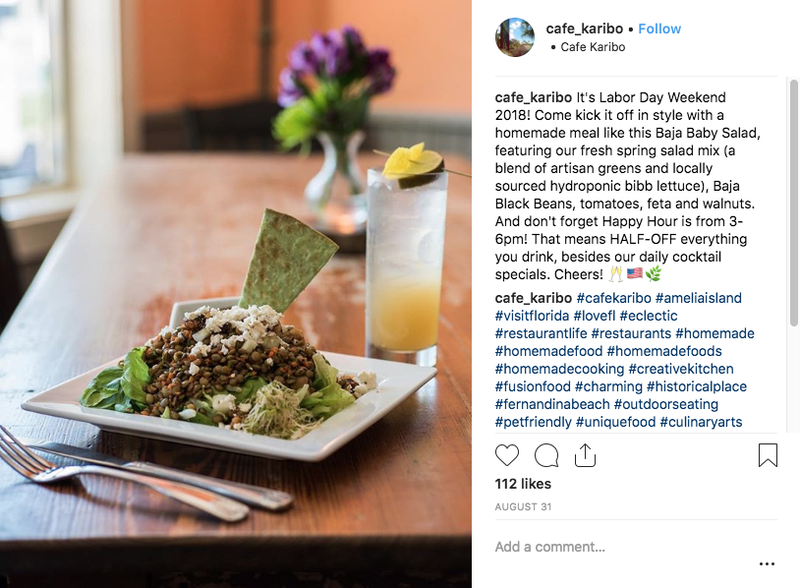 Café Karibo, a well-established, eclectic restaurant in Fernandina Beach, was looking to turn their social media game up a notch, and had Meerkat take over their Instagram and Facebook channels in early 2018. Meerkat conducted two in-depth, professional onsite photoshoots showcasing the homemade feel of the family establishment, and developed an outline to meet Karibo’s goals. The photos are now used on their new website, in print and digital advertisements, and in daily social media posts. Their Facebook page has now taken off, with high engagement and shares for each post. This helps increase organic impressions, this Facebook deems the content high-quality. Karibo also uses a combination of targeted digital advertising with Google Ads and Facebook to increase monthly event exposure, which has seen great success in continuing to build the brand through digital platforms.